A 15-station expansion of DublinBikes focused on Grangegorman is set to get underway this summer and to be completed by the end of the year. Of the draft 15 new stations, 9 will be located around Grangegorman, where the DIT campus is partly still under construction. 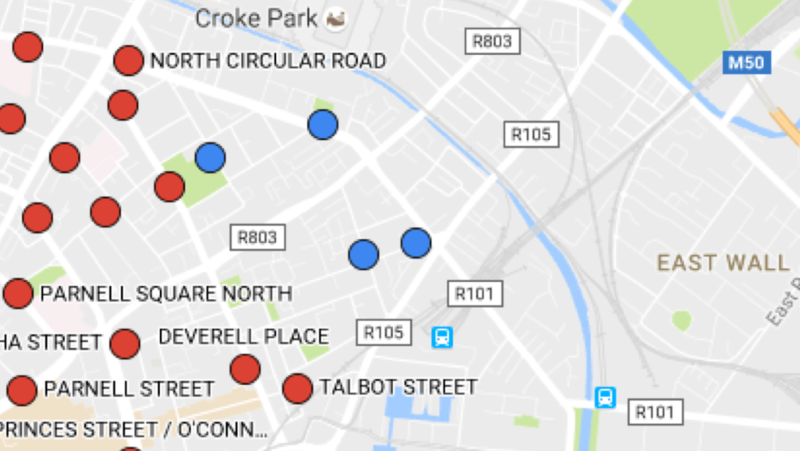 If all goes will, four of the stations will be located along or just off the North Circular Road, three or four will be on Grandegorman Lower / Upper, and two will be on the city side of the Phibsborough Road. In 2016 users of DublinBikes took 4.3m journeys and more than 18 million journeys since the launch in September 2009. At the start of this year the scheme had 68,000 annual subscribers and its busiest day ever was on September 16 of last year with 18,041 journeys taken. Since February 2017 yearly membership subscriptions increased from €20 to €25 to partly pay for the expansion and also aiming to fill in an amount which was to date paid from the city council’s general budget. What is this nonsense with Dub City Council having to cover any shortfall in revenue. This scheme should be recognized as a national strategic project. The cost savings in health, pollution, carbon emissions, well-being of citizens, congestion, collisions etc etc etc easily outweigh any costs of the project. How many billions go into motorway building and maintenance? A fraction of a percent of that would cover the entire Dublin bike scheme. 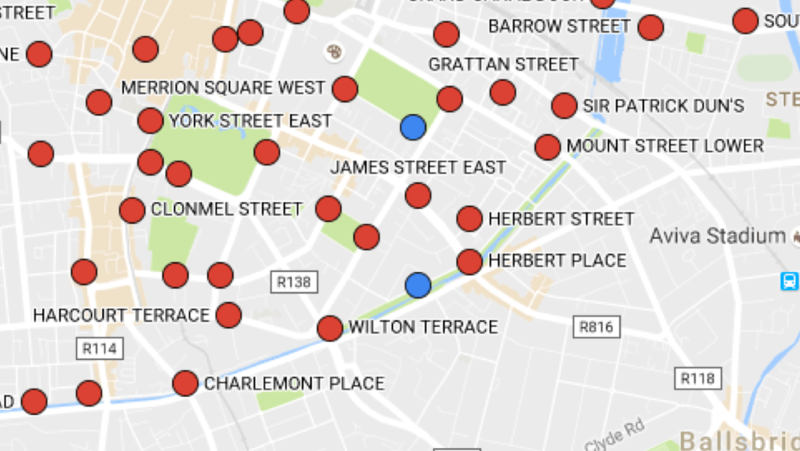 What about arbour hill and Stoney batter area? 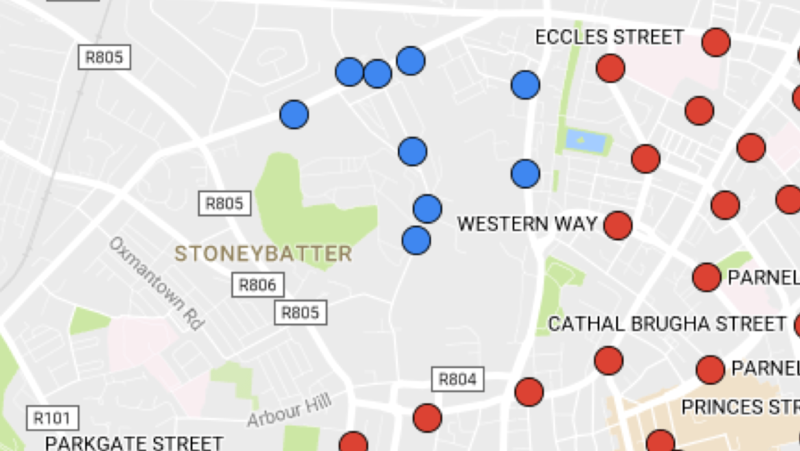 The area already deserve at least 2 bike stations since Public transportation in the area (from stoneybatter until phoenix park) is so poor that i believe a lot of residents will be thankful. Really disappointed that Stoneybatter, Arbour Hill, Oxmantown, Phoenix Park end of NCRd has been ignored again. 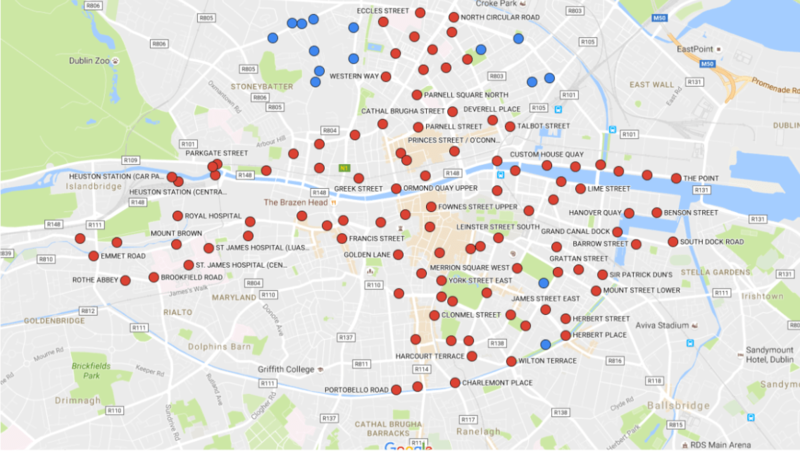 The scheme is very much biased towards the south side of the Liffey.